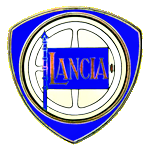 The Lancia celebrates its 60th anniversarythist year. The most famous model in the history was the Lancia Lambda first shown in 1922 with self-supporting body, independent front suspension, 2.1 liter V4 engine with overhead camshaft and unusually long wheelbase. It was one of the most advanced cars of its time. 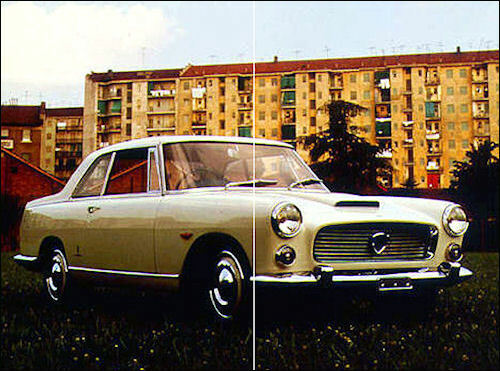 Like Alfa Romeo, Lancia is also known for delivering outstanding quality automobiles. In order to live up to this reputation, the company always strives for exceptional constructions for their cars as well as the most possible quality. After the front wheel drive Flavia and now also the little Fulvia have risen to a decent performance and since the Flavia sedan has been given a body shape for some months ago, the Lancias are the same again you usually make of it. 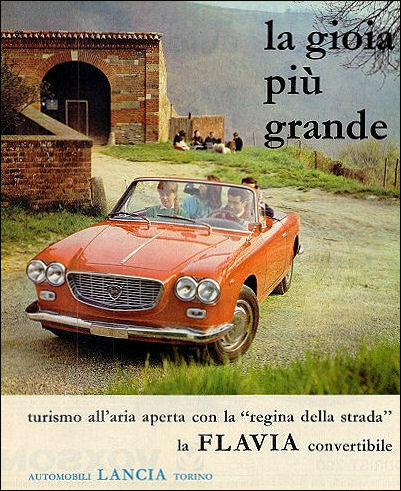 The big Lancia Flaminia is still in the program but it is only sold in rather small quantities. It has long been rumored that Lancia will soon launch a new big car. 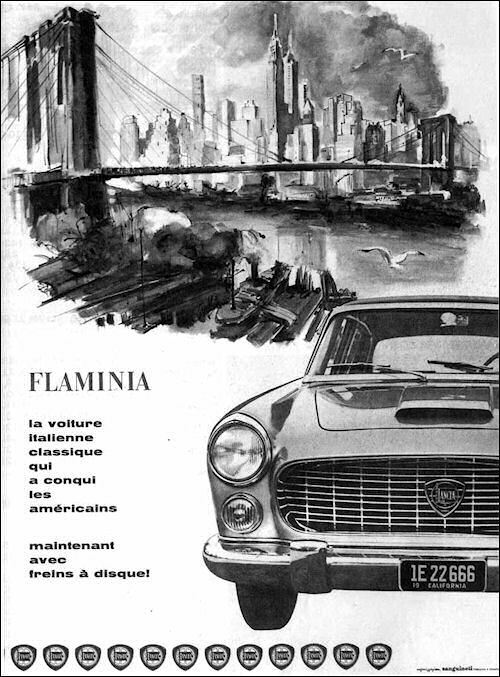 Total production of the Flaminia Coupé by Pininfarina outpassed the sedan's with 5.236 built of which 4.151 in 2.5, and 1.085 in 2.8 form. 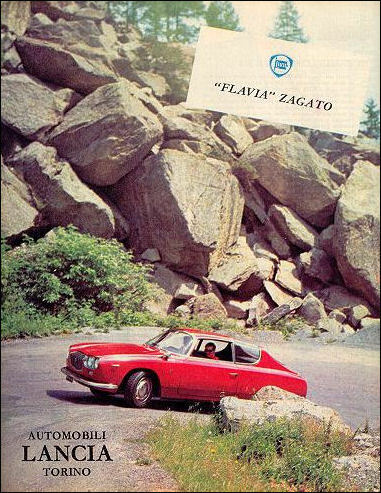 The production of the Super Sport Zagato ceased in 1967, but the last copies were sold in 1968. 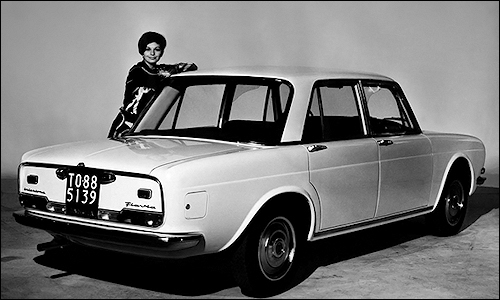 In 1967 the Flavia sedan recieved a deep redesign that modernized and approached the design of the "Fulvia". 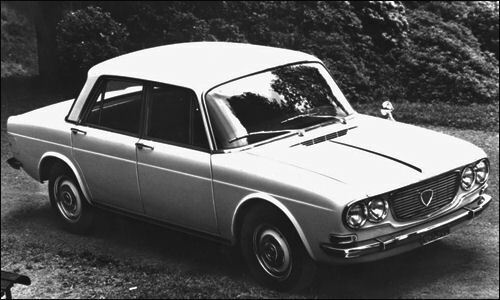 1967 saw further improvements and additions to the Fulvia range. The Coupé get a new engine, with a different vee angle (12°45'28") and longer (69.7 mm) stroke, displacing 1298cc and generating 87 bhp. The latter model is called Rallye 1.3, whilst the same engine went into the 1.3HF where it produce 101bhp, replacing the 1.2HF. Later this year the 1216cc engine was replaced throughout the range by a 1231cc variant of the new 1298cc engine. Berlina GT was introduced with the 1216 cc or 1231 cc engine producing 80 bhp at 6000 rpm and 1199 cc 79 bhp for Greece. Although virtually the basic version is still available vith 58 bhp it is not most requested by customers. The Sport Zagato body made in full of Peralluman was built only between 1965 and 1967. New model have the body made of steel with Peraluman hood, doors and boot lid. Berlina GT (Tipo 818.200/201/210/211) with the 1216 cc (later 1231 cc) engine from the Coupé, producing 80 bhp (60 kW) at 6,000 rpm. 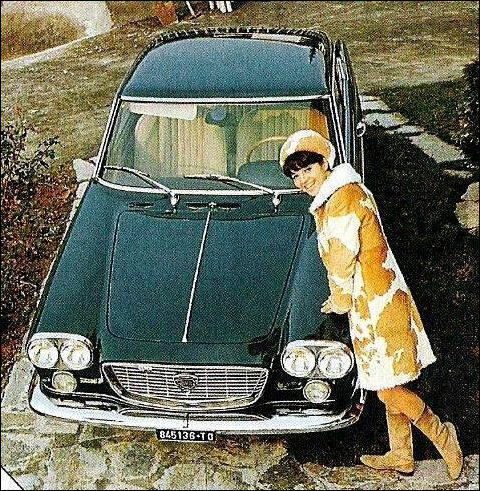 Distinguished by an enamelled "GT" badge on the radiator grille and rear "Fulvia GT" script. Berlina "Grecia" (Tipo 818.282/292) - Greece-only version fitted with a smaller 818.282 1.2 L (1,199 cc) engine, putting out 78 PS (57 kW; 77 hp) at 6,200 rpm. Coupé V4 cyl., 1216 cc, 80 bhp - end of prod. Coupé HF V4 cyl., 1216 cc, 88 bhp - end of prod. Flavia (B4, 1488cc, 76 bhp) – end of prod. Flavia 1.8 (B4, 1800cc, 92 bhp) – end of prod. Flavia 1.8 Iniezione (B4, 1800cc, 102 bhp) – end of prod. Sport Zagato 1.8 (B4, 1800cc, 105 bhp) – end of prod. Sport Zagato 1.8 Iniezione – end of prod. Vignale Convertible 1.8 (B4, 1800cc, 105 bhp) – end of prod. Vignale Convertible 1.8 Iniezione – end of prod. 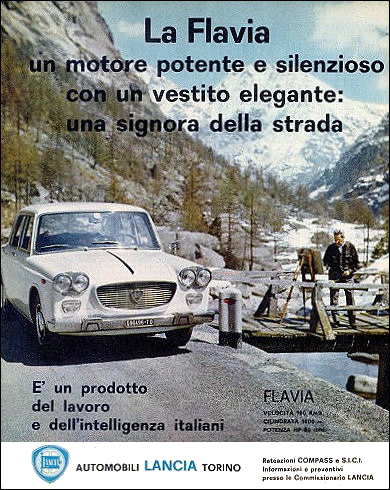 Lancia Flavia Coupé po modernizacji. Coupé Pininfarina 3B 2.8 (275cm; V6 60°, 2775 cc, 140 PS) – end of prod. Super Sport Zagato (252cm; V6 60°, 2775 cc, 152 PS) – end of prod. HF Squadra Corse ready for Targa Florio. 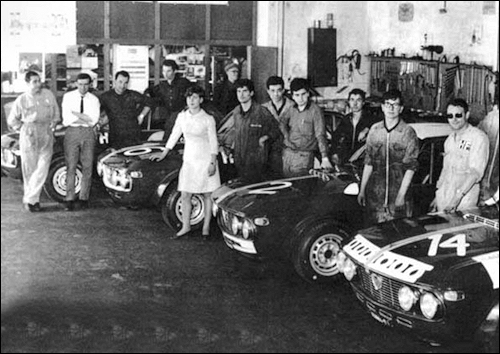 # 2 Fulvia HF Pinto / Achille HF Squadra Corse fail. 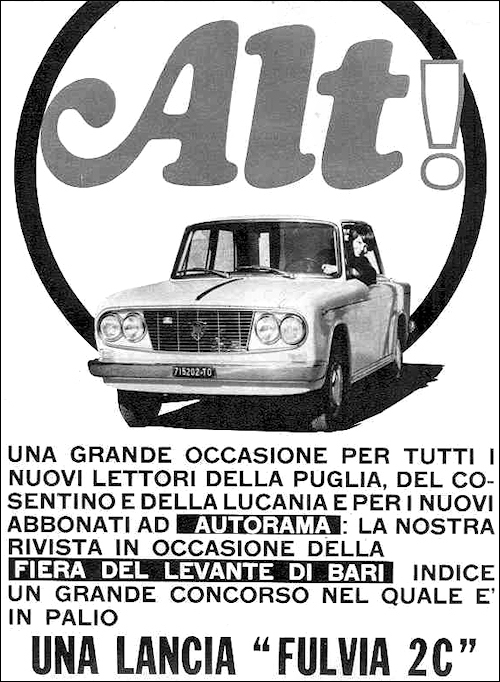 # 8 Fulvia HF Costa / Rizzo fail. # 10 Fulvia HF "Goldfinger" / Riolo Pegaso fail. W ubiegłym roku na drugim i trzecim miejscu ukończyły prestiżowy Rajd Monte Carlo Lancie Flavia. Tym razem do współzawodnictwa stanęły mniejsze Fulvie.